If your child is learning about Rory in school they may well talk about what they have learned at home. Here are some activities you can download and some suggestions for discussions you might want to have with your child about what they are learning. Rory is delivered in schools by trained Rory Teachers. The resource is linked to the curriculum for excellence and can cover a range of topics. Visit here for more information. What happens in the Rory story? Can you tell me about Rory and the other characters in the story? What have you learned from Rory? 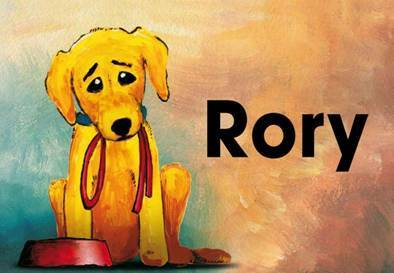 Who does Rory speak to when he is worried? Who would you speak to if you were worried and/or scared and/or lonely?